Even if Sebastian was a bit slow, he was persistent and a very good worker. 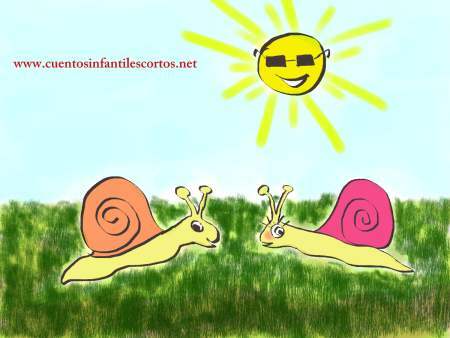 When he was a young snail, he would go with his mum all the way to school. It was only 2 meters away from their home but it always took them more than an hour to get there. That was the best moment of the day for Sebastian because he liked to sing to his mother during the walk and make her day better. He was actually quite different from other snails as he also liked to stay at home and sing for hours instead of sitting outside on sunny days doing nothing. But his country never valued snails like him, so he decided to leave when he was 18 years old. He went to “Hope country” to try to become an important singer and to live his dream. Unfortunately, Sebastian didn’t manage to live his dream. So, after a few months he went back home, Hope country was very expensive and he had run out of money. But suddenly the door bell rang. It was the postman with a letter for Sebastian. Intrigued, he opened it as fast as he could. – “I can´t believe it! This is an invitation to participate in the TV music show Number One!” – said Sebastian crying. He was now nearer to reaching his dream, which was to be the number one most important singer. The moral of the story: One has to fight for one´s dreams and trust oneself.